The Air Jordan I Hi OG NRG colorway takes inspiration from professional BMX rider and Nike, Inc. family member, Nigel Sylvester. Serving as his go-to riding shoe, Nigel’s AJ1s are often seen with heavy distress marks created during the trial and error part of mastering tricks. 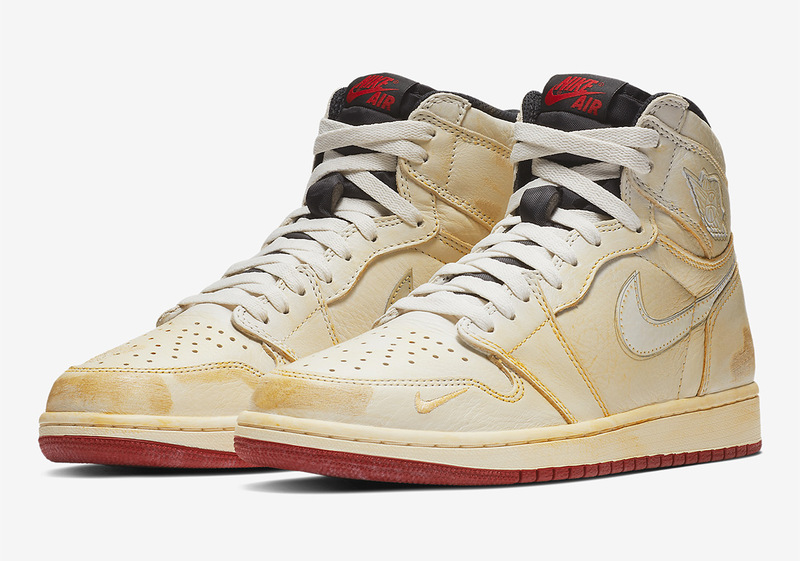 This pair mimics those marks with distressing done by hand on a discolored Sail, white, Varsity Red and Muslin colorway. For the medial Swoosh, a reflective material is employed to provide a flashing effect while night riding. Within the inner collar of the shoe is the designation “Jordan Biking Co., Est. 2017,” which signifies the year the project was kicked off. Finally, the heel exhibits scuff marks reminiscent of the abrasions on Nigel’s old AJ1s. In addition to those elements, the shoe features a mini Swoosh on the lateral toe box and a deconstructed lateral Swoosh and Wings logos.